For the fourth consecutive year Dolbey was named Best in KLAS for Speech Recognition; Dolbey earned this year’s Best in KLAS award for its patented Fusion SpeechEMR® front-end speech software. Dolbey’s back-end speech product, Fusion Speech®, also earned the KLAS Category Leader award for the Speech Recognition, Back-End category for a second year in a row. We would like to thank all of our valued customers along with our dealer network in their efforts to win this award 4 years in a row. - Jerry Dolbey, President of Dolbey and Company, Inc.
For the fourth consecutive year (2012, 2013, 2014 & 2015/2016), Dolbey was named Best in KLAS for Speech Recognition. Dolbey earned this year’s 2015/2016 Best in KLAS award for its patented Fusion SpeechEMR® front-end speech software. Dolbey’s back-end speech product, Fusion Speech®, also earned the 2015/2016 KLAS Category Leader award for the Speech Recognition, Back-End category for a second year in a row. Dolbey’s Fusion Suite™ includes speech recognition, dictation, transcription, core measures and coding solutions. Speech recognition continues as the focal point of Dolbey’s Fusion Suite of products. Dolbey brings the power of speech recognition to transcription and integrates with major EMR/EHR, radiology, pathology, physician practice and ED software. These award-winning products deliver robust documentation tools to providers, enhancing patient care, efficiency and regulatory compliance. KLAS is a research and insights firm on a global mission to improve healthcare delivery by amplifying the provider's voice. Working with thousands of healthcare professionals and clinicians, KLAS gathers data and insights on software, services, and medical equipment to deliver timely reports, trends and statistical overviews. The research directly represents the provider voice and acts as a catalyst for improving vendor performance. Follow KLAS on Twitter at http://www.twitter.com/KLASresearch. 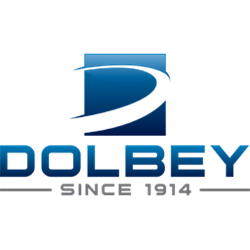 Dolbey is a leading provider of Fusion front-end and back-end speech recognition, dictation, transcription software, core measures and computer assisted coding for healthcare providers in the United States and Canada. Together, Dolbey and Company, Inc. and Dolbey Systems, Inc. offer the Fusion Suite of integrated products. Fusion SpeechEMR® and Fusion Speech® are trademarks of Dolbey and Company Inc. Fusion Suite™ is a trademark of Dolbey and Company, Inc. and Dolbey Systems, Inc. All other trademarks and trade names are the property of their respective owners.